I didn’t do a Weekend Snapshot post yesterday, which felt weird, but I just didn’t take many pictures, and I was kind of busy just living. Which is totally cool and normal sometimes. If you’re curious though, the best part of my weekend was the amazing, insane, and exciting Steelers game against the Packers. Did anyone catch it? It was nothing short of crazy. And while it was frustrating at times (worst call ever after the blocked field goal…) it was so exciting to watch. And we WON. It’s still a long shot, but we still have a chance at the playoffs. Next weekend will be interesting! 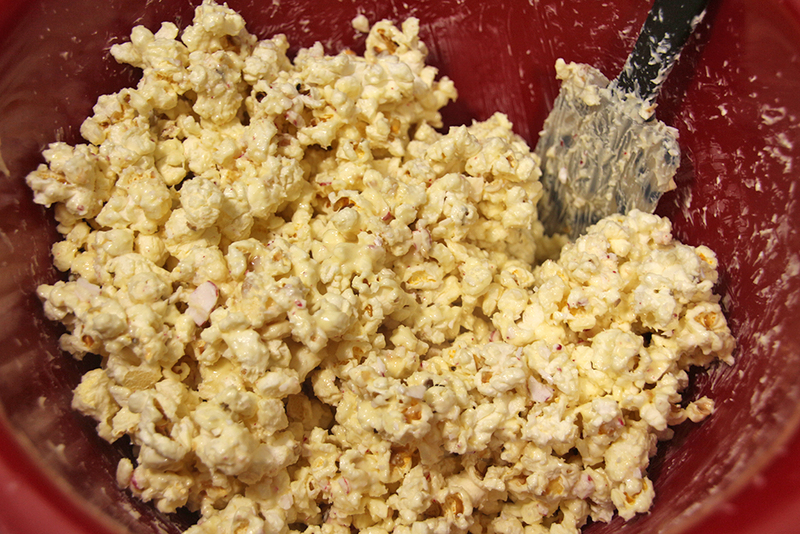 Ok, now on to this popcorn. 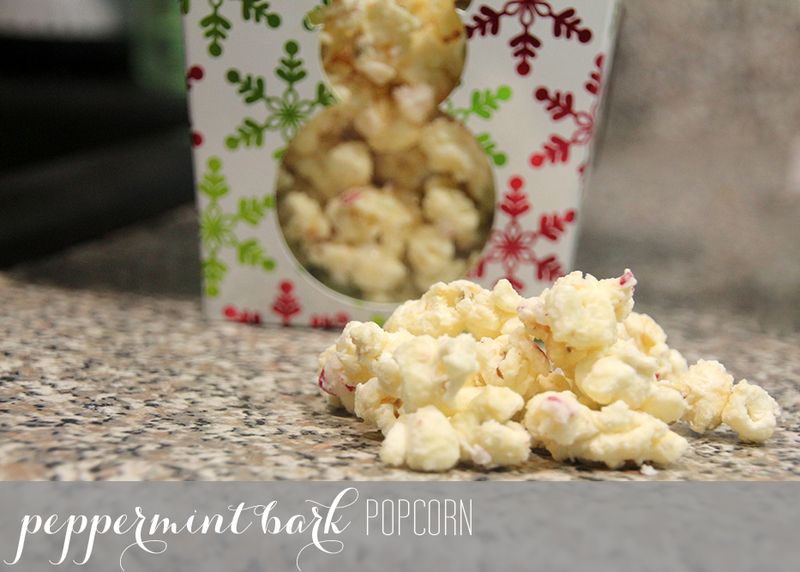 If you find yourself sitting here on this Christmas Eve, in need of something to make for your Christmas celebration but fresh out of ideas, may I suggest this tasty little treat? 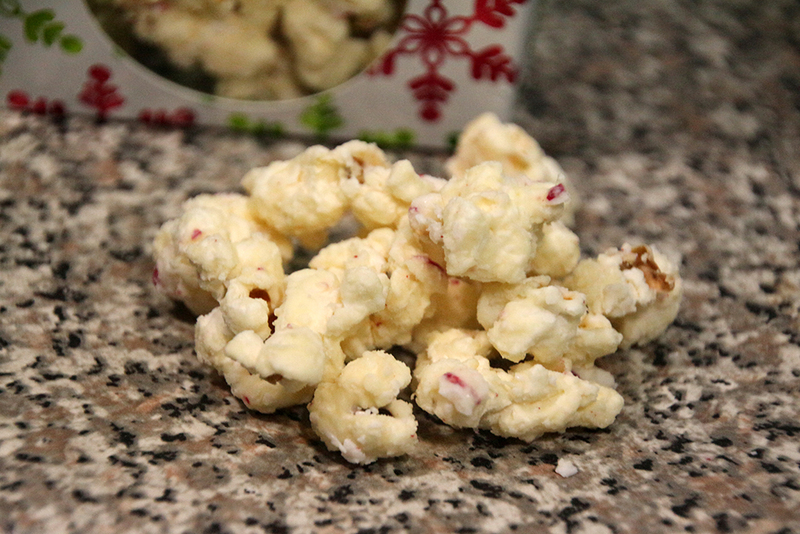 It’s so, so easy, and it tastes exactly like Christmas drizzled all over popcorn. 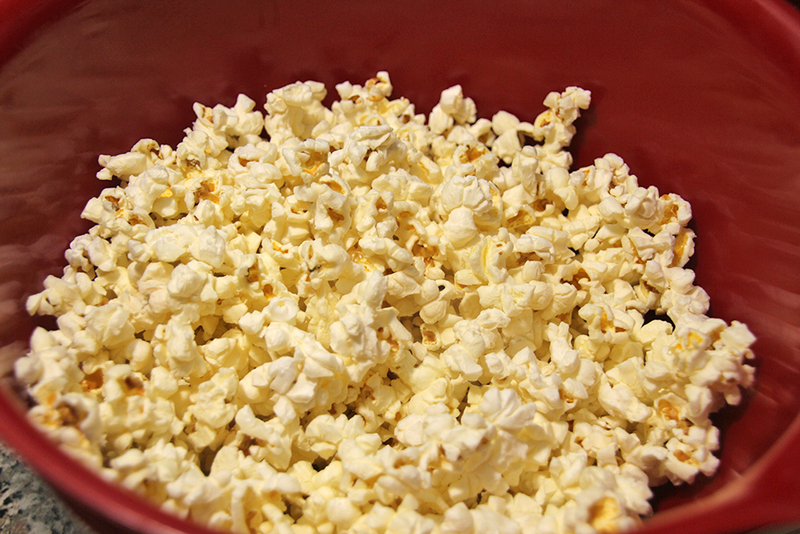 Pop the popcorn according to package directions and put in a large bowl. 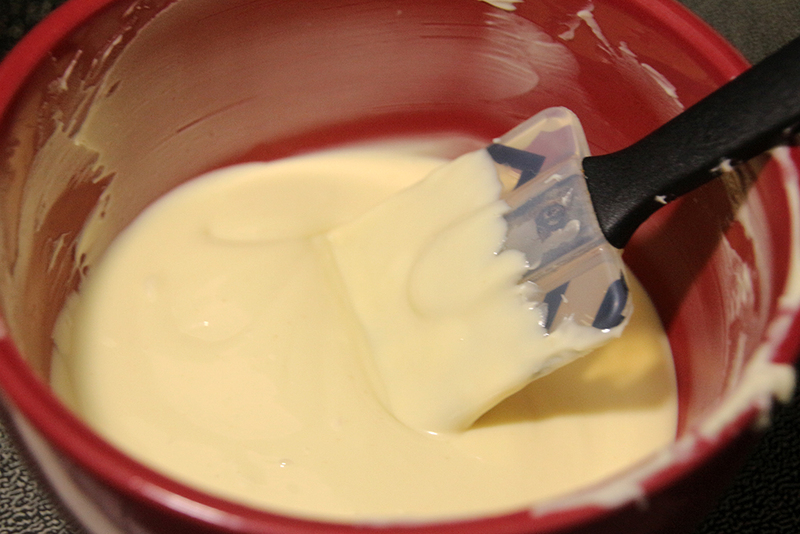 Melt the chocolate chips in the microwave for a minute and a half on half power, stirring after 1 minute. 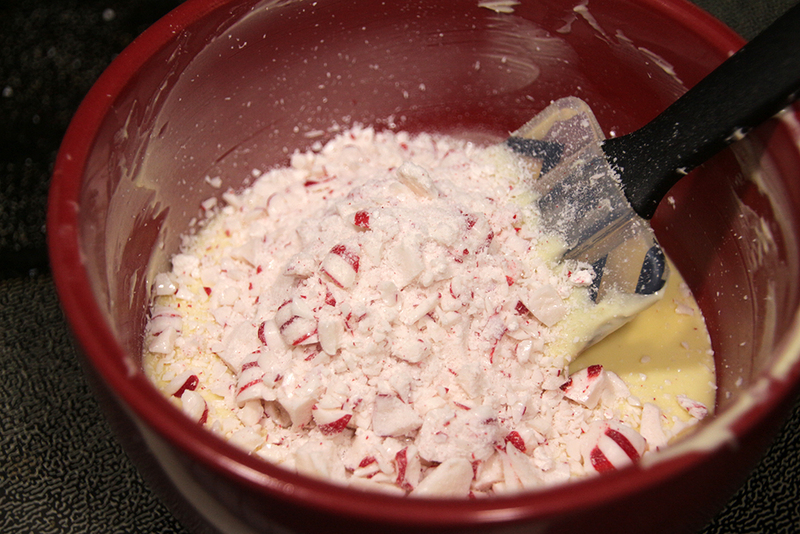 Stir the crushed peppermints into the white chocolate. 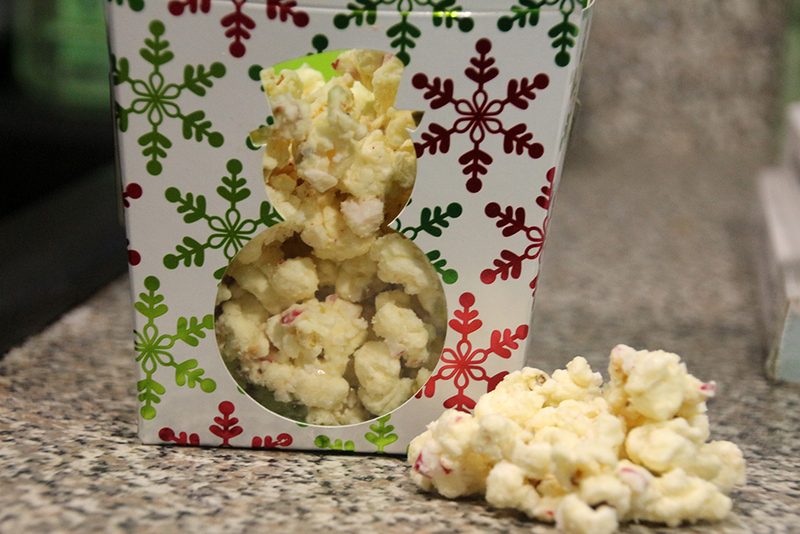 Pour the white chocolate over the popcorn and stir to cover completely. 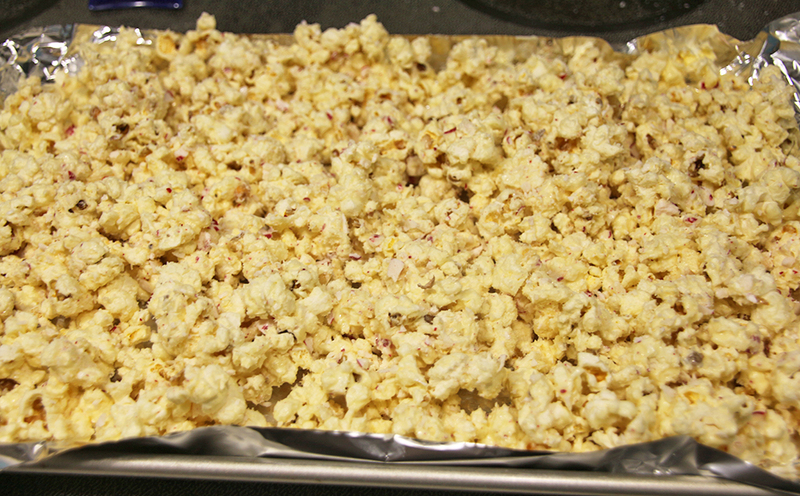 Spread the popcorn onto a pan lined with foil and allow to cool. 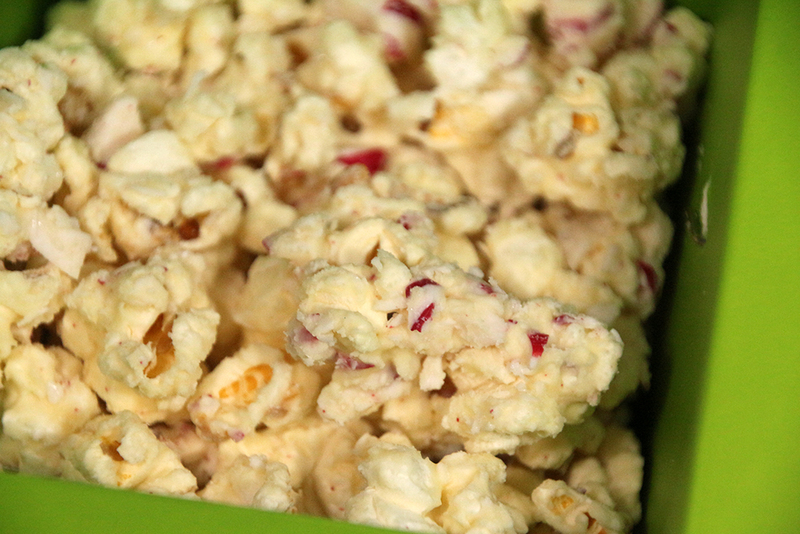 popcorn is my favorite food. now it’s even more of a favorite.